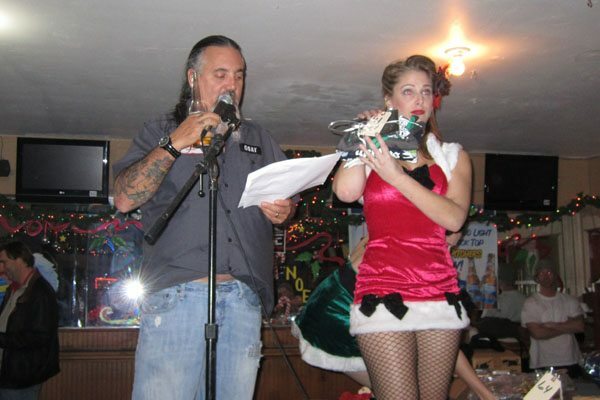 Goat of the Full Throttle Saloon as auctioneer at past auction. 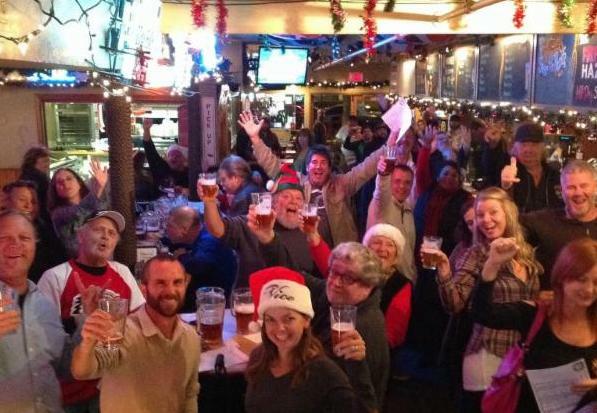 The Ocean Beach Town Council is hosting its annual auction to benefit their Holiday Food and Toy Drive this Thursday, December 3rd. Please join them in this great night of fun, hilarity and good vibes … and fund raising for a wonderful cause. Plus you’ll have a chance to bid on and win fantastic prizes from local businesses and sports teams. The Silent Auction kicks off at 5:30 p.m. and the Live Auction gets underway at 6:30 at the Sunshine Company Saloon (5028 Newport Avenue). Proceeds help the OB Town Council brighten the holidays for over 80 underprivileged families and children across our community through our annual OB Holiday Toy and Drive. If you are interested in donating an auction item, please contact the Ocean Beach Town Council at: http://obtowncouncil.org/contact/. The Ocean Beach Town Council is collecting non-perishable food and new toys for our annual OB Food and Toy Drive, which helps over 90 local families and seniors in need during the holidays. Together, we will provide these local families and seniors with a week’s worth of fresh groceries, a month’s worth of canned goods, and toys and gifts to bring holiday cheer and alleviate poverty. If you would like to join the OB Food & Toy Drive volunteer effort, local community groups and volunteers will be sorting and wrapping donations December 15th- 18th from 5:00pm-8:00pm and we will deliver the donations on Saturday, December 19, from 9:00am-11:00am. The Toy and Food Drive is held at the Masonic Hall, 1711 Sunset Cliffs Blvd. Click here to see our calendar of volunteer opportunities. Please stop by and bring a donation and lend a hand! If you would like to make a monetary donation, please click here: http://www.plumfund.com/community-crowdfunding/ob-food–toy-drive-2015. If you can’t drop off a donation or volunteer during the event, but still want to contribute – please donate to our crowdfunding campaign (it’s worth clicking just to see the Kevin Bacon-bacon portrait): http://www.plumfund.com/community-crowdfunding/ob-food–toy-drive-2015!